While you can enjoy our perks as our friend, your referees can enjoy other benefits as well! Being our friends, YOU will get a free “Basic CY Nursing Bra” for every referral you recommend to our showroom. This gift is also delivered absolutely FREE!! 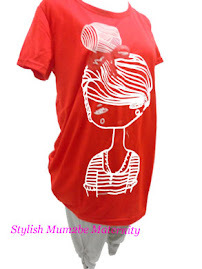 to you with regular local postage, after your referrer has purchase of any maternity clothes at our showroom. If the nursing bra is not what you need, you may opt for an $8 discount voucher from Stylish Mum2be Maternity. No minimum purchase is required to honor the voucher and you are free to walk away with anything from us by topping up the difference! How’s that for being a friend! Of course, we have not forgotten HER (your referral)! She shall be given a “2-rows bra extender” FREE with any purchase she makes on the day of her showroom visit. After a long wait of 9 months, we know that your baby can’t wait to arrive to this fascinating world. Why not share your joy with everyone? We can’t wait to see them too! If you send us your newborn baby’s photo with his/her name and a short description by email, we will gladly put it up on our website and share your joyful arrival with all other new mums-to-bes! 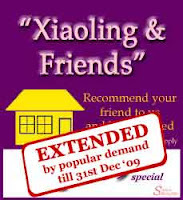 Simply email to xiaoling@sgtrust.net to enquire now!